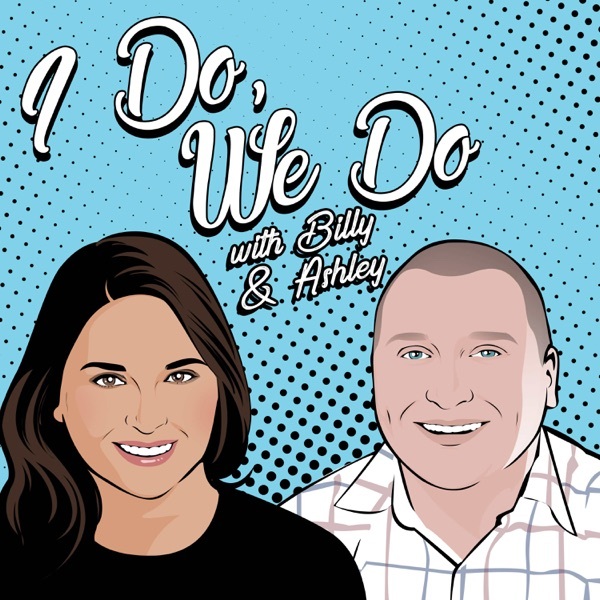 I Do, We Do | Listen Free on Castbox. This podcast is hosted by Billy and Ashley Moyer, AKA Bashley, a millennial couple committed to their careers, lifelong learning, and philanthropy. Bashley believes that TOGETHER they can achieve more. This weekly show is about how they find success as a team of two in business and life in general, and how their differences make them stronger. We put together our best plan ever for 2019. We got off to a great start crossing off action items for our most important goals. We were holding each other accountable. We were communicating. We were collaborating. We knew for sure 2019 was our year. And then our plans changed. In this episode, we share what happened to change our plans for 2019. This is a must listen episode! In this episode, we do a re-do of one of our most popular episodes. Goal Setting! We share why we set goals and how. We believe setting goals together ensures that we are always growing together rather than apart. Billy has a long history with goal setting. Ashley drank the kool-aid and together we consider setting and achieving goals one of our greatest and most important collabs. Download a free goal setting lesson for partners at BashleyMoyer.com/goals. Music “Sunny” by Bensound.com. What We Talked About in this Episode: Billy went through his first goal setting program when he was just four-years-old He has continued learning about goal setting and teaching others about the subject ever since Paul J. Meyer, the founder of the personal development industry said, “If you are not making the progress you would like to make and are capable of making, it is simply because your goals are not clearly defined.” Goals bring out the best in us. Ashley shares the story of Billy asking her about her goals and sharing his goals when they first met Some companions from Billy’s past were turned off by this, but Ashley was intrigued and of course stuck around to learn more Ashley shares more about her own personal thoughts on goal setting and how they have changed with Billy Ashley is go with the flow, Billy is the planner But we both enjoy setting goals. The goal setting process begins with a Dream List This is how we got started goal setting together and they continue adding to their list every year. A Dream List is exactly what it sounds like. Some call it a bucket list. This is simply all the things you want to do in your life together. Next comes creating a short list of goals - no more than 10 We do this every year as well. We start by setting individual goals and then coming together for a date night to share the goals and work on our combined list. Through this process especially, it is important that we fully support one another. There are no stupid goals. This should be a real discussion. What do we really want to accomplish together over the next year? What are the benefits of the goal? What obstacles stand in our way? What steps need to be taken to achieve it? Set challenging goals together that are realistic There are no unrealistic goals just some really bad target dates. Goal setting is supposed to be uncomfortable. Goal setting begins with an awareness of where you are right now and a desire to change your future together Goals are a prelude to action, they are a course to take; they are an expression of your strengths; they are an exercise of your desire for becoming better together Growing together is a choice all partners must make Growing apart is an excuse. Mental-health day or self-care? We millennials love to develop our own phrases for everything. Either way you call it, it is something we practice regularly. In this episode, we discuss what self care is and what it isn't, what we do separately to practice self-care, and what we do together to practice what we call "together care." Music “Sunny” by Bensound.com. What We Talked About in this Episode: What self care is/isn’t It is not just doing something for yourself It's an activity that puts you in a better mind place, zen out, Self-care solo What Ashley does Blowouts Journaling What Billy does Reading Self care together Travel/trips Spas Walks/workouts Conversations, listening to each other Listening to Audible together Couples who self care together stay together Did we just coin Together-Care? "it's always better with a woman in power"...100% agree Billy! ...Great episode you two! The podcast has a slow take off, but I'm going to hold on and keep listening to see how Ashley and Billy grow. I am surprised at the vocalized pauses and the slow tempo, but it must be a big transition from public speaking to podcasting. I'm ready to learn how they work through conflicts, especially with their busy schedules.